Chuck and Daniel have a special guest, Chuck’s wife Elizabeth! 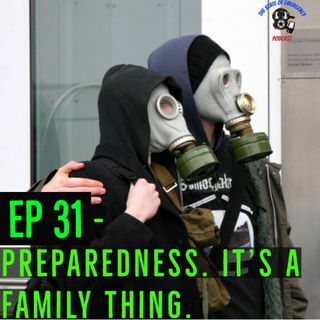 In this episode, she shares what prompted her to get into personal preparedness, understand the importance of it, and offers advice for how to get your family into the preparedness mindset, while also avoiding things that may turn them away from it. Turn this one on in the car with the family and let it open up a great conversation on why preparedness is truly, a family thing!